It’s nearing the end of the year (again!) and many of us may be thinking that it’s time to trade in or sell our trusty vehicle and upgrade to something else – whether it be something smaller to suit your recent move to the city, bigger to suit your growing family, or you could even be switching from four to two wheels (or vice versa). Many car dealerships have huge sales on at this time of the year, as they’re busy getting ready for next year’s new models to come rolling in the doors. But before you get swept away in all the excitement, have a read of these handy tips to help you survive the car sales season and get the best deal possible. Do your research about different car models – Throughout the year, there will be heaps of safety reports, reviews and articles published about most car models, as well as lists detailing the highest rated and most popular models of the year. Some of the models which have made the top selling list this year so far include the Hyundai i30, Hyundai Getz, VW Golf and the Ford Ranger. 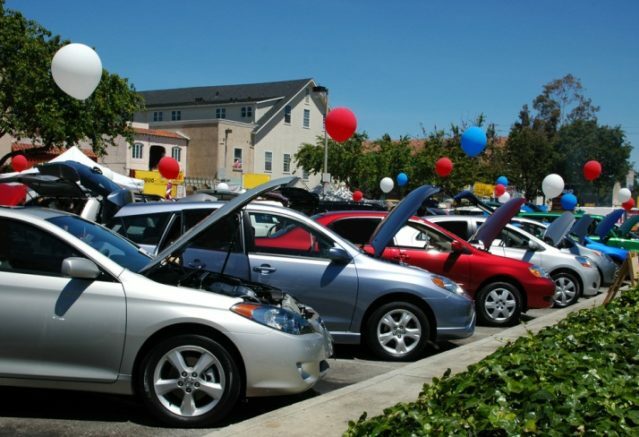 Get some help from a trusted friend or family member – It can be easy to get swept up in the excitement of car sales season, and you may feel pressured into buying something just because it’s cheap. That’s why, as with making any big decision, it’s important to have a trusted friend handy to discuss things with you and offer a second opinion when you’re unsure about something. Triple check all the terms and conditions – Although it seems like common sense, surprisingly many people still don’t properly read through everything they sign, and end up with unnecessary extras that they don’t need. Avoid this by reading the fine print carefully. Don’t forget, it’s more than fine to ask questions about anything you’re unsure about. Arrange your financing –If you don’t have the cash for your new car up front, consider a car loan or finance plan. Car dealers usually offer great deals on financing, and John Hughes, for example, has its own financing program which can help you find the best loan to suit your needs and budget. So, with a little careful planning, you can ensure you get the best deal during car sales season. What are your top tips for car shopping during the end of year sales?